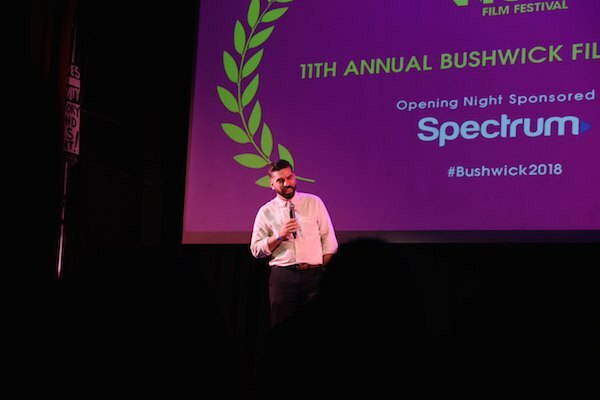 The opening of the 11th year of the Bushwick Film Festival was a success. 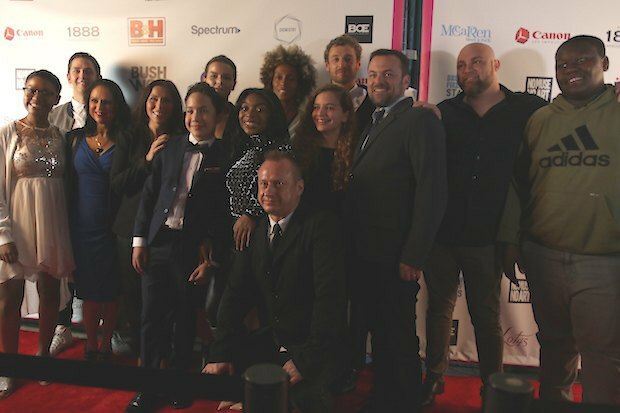 The 11th Annual Bushwick Film Festival began last night with a red carpet at House of Yes to celebrate the East Coast Premiere of BushwickBeats, a series of six short films set in Bushwick based on themes of unconditional love. 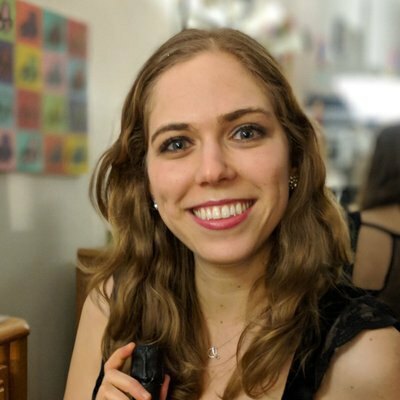 Each film was shot over two days and many tackled real-world issues facing the community, like a family member coping with ALS, gender dynamics among graffiti artists, or immigration politics. 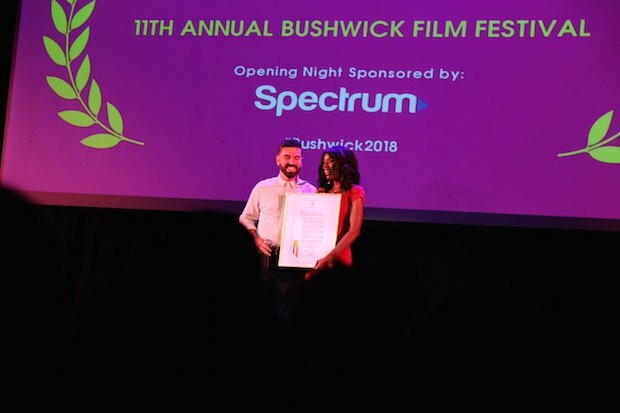 Other shorts used Bushwick as a setting for magical happenings, depicting grief and the growing pains of a couple amidst Bushwick’s rooftops and subway tracks. Bushwick Beats will be shown again on Sunday at 8:00 at Syndicated, presented by Brooklyn Fire Proof. 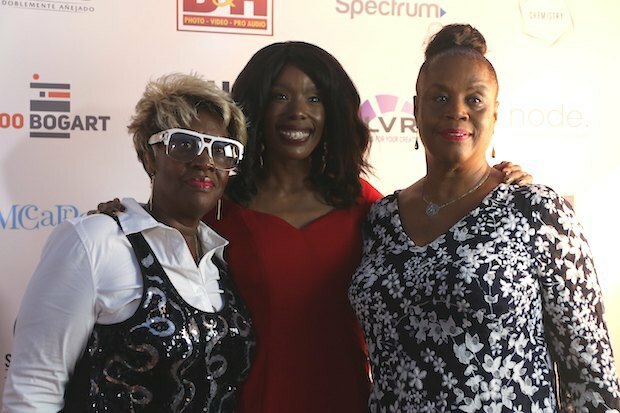 B&H Photo is the Festival’s community partner and worked with the Festival to give young Bushwick residents a week-long filmmaking boot camp. After several days of training and mentorship from industry professionals, they took to the streets to produce short documentaries, which will be shown on Sunday, October 14th at 5:45 pm at Lightspace Studios. 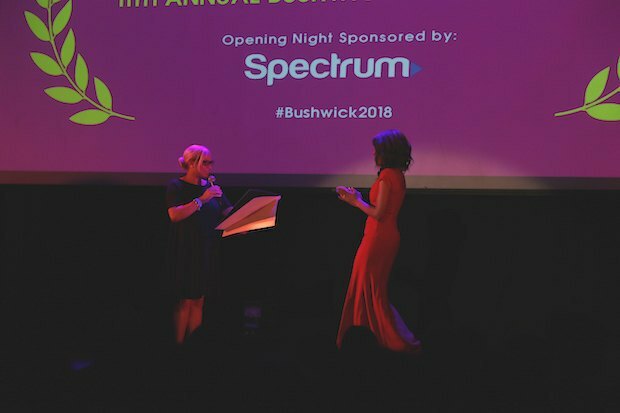 Community support was a major theme of the night and City Council member and Nightlife mayor Rafael Espinal was in attendance, as was Assemblywoman Maritza Davila. Brooklyn Borough President Eric Adams sent his congratulations via video. 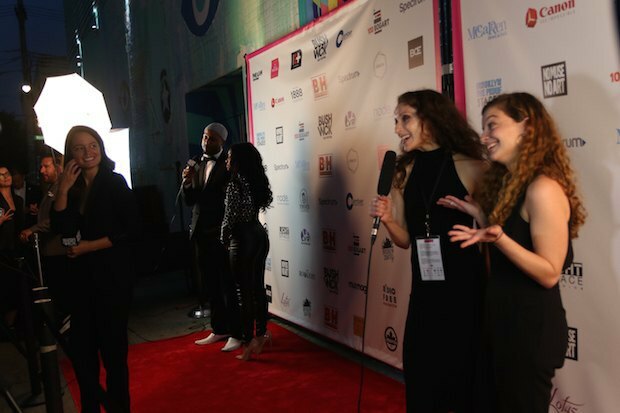 1,300 Submissions, Kotee shared, came from 14 countries and the final slates of filmmakers are both 50 percent women and roughly 50 percent people of color. 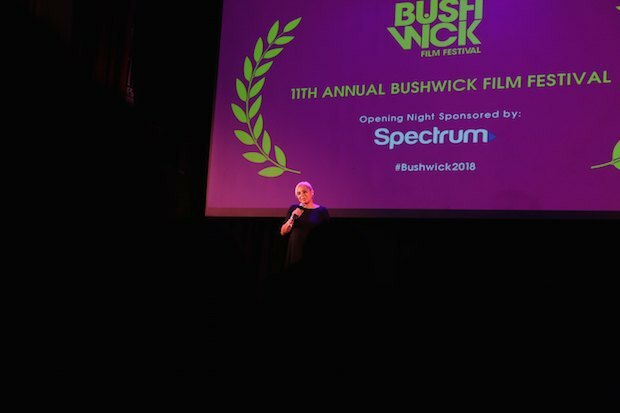 Kotte and her team recently launched the Bushwick Film Institute, which will support local independent filmmaking all year long, and are excited for the rest of the weekend. Producers, directors, and actors shared the stage for a Q+A after the screening, rotating chairs to give everyone a few moments in the spotlight. Many of the teen actors involved in the film spoke positively of their experiences and of the struggles of playing characters different than themselves. After the Q+A, guests headed to Lot45 for the afterparty, sponsored by Brugal 1888 and Partida Tequila. MixMag All-Stars provided the soundtrack with DJ Day-Cart and David Marston and the party was lively, with conversations punctuated by hugs and congratulations. A frozen coconut water ice cube pairs well with #1888Rum in any setting. 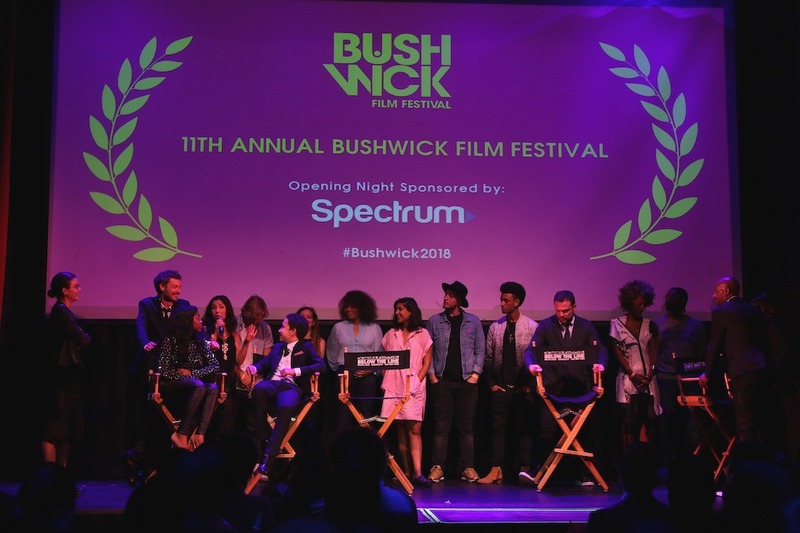 Bushwick Daily is the Official Media Partner of the Bushwick Film Festival. Get a rundown of the can’t miss events here and check out this film about gentrification. Make sure to check out our favorite spots to grab a drink after the movie. 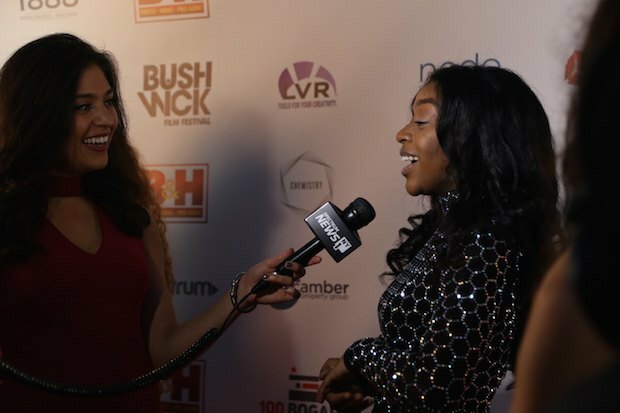 To see a behind the scenes look at opening night, check out our “Bushwick Film Festival” Highlight on Instagram.